I love that each new stage of parenting brings with it new joy and excitement. Sure there are new challenges too, like the constant climbing shenanigans we're currently facing, but mostly excitement. Each day as she gets older she gets more and more curious. Shes a little sponge ready to soak in as many new things as possible. Every day is a new opportunity to learn and explore and I'm more than happy to feed her desire for knowledge. Her latest obsession is books. 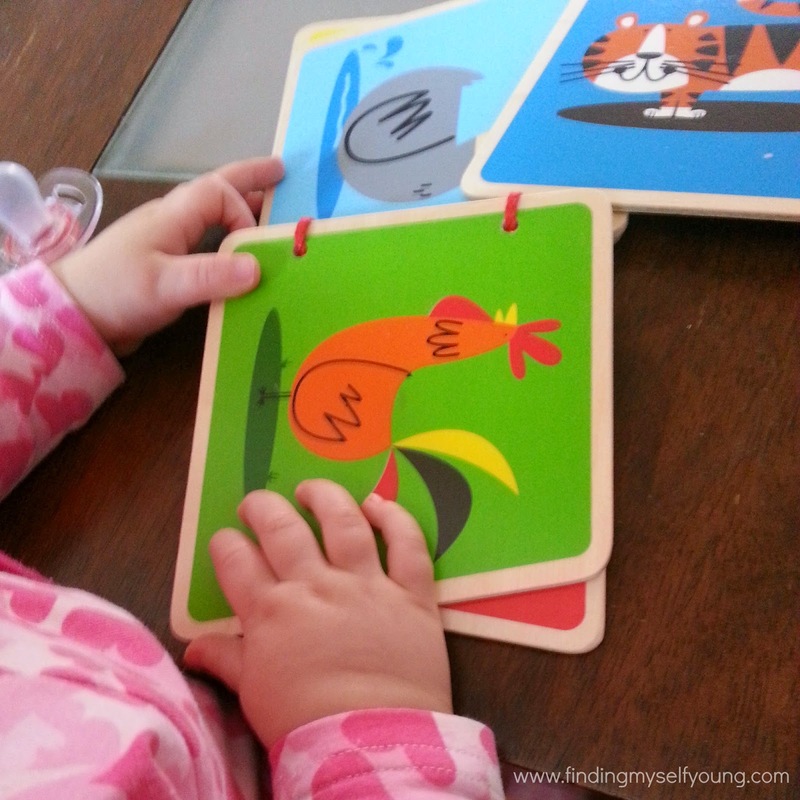 Its not an entirely new thing as shes been happily "reading" and chomping away (mostly chomping away) at her board books for a while now. Lately though her fascination with books has moved beyond how tasty the pages are and to actually being interested in whats on the pages. Shes also very keen to share this experience with me now instead of sitting quietly by herself. She brings her books to me to read to her on many occasions throughout the day and she'll actually happily sit with me while I flick the pages and read the book to her. She eventually gets frustrated with me taking too long to tell the story and starts avidly turning the pages herself regardless of whether my words are keeping up with her furious page turning. Clearly shes not completely ready for story books yet. Being the savvy mummy that I am though, I've found the perfect books to entertain her need to turn the pages, but still maintain her interest. They're books for little ones who aren't quite up to reading (or maintaining interest to listen to) a story, but are still fascinated by books. And, they overcome the chomping on the pages issue! Well they don't entirely stop it, but they do stop the destruction that it usually causes. We've started reading wooden books by Hape. 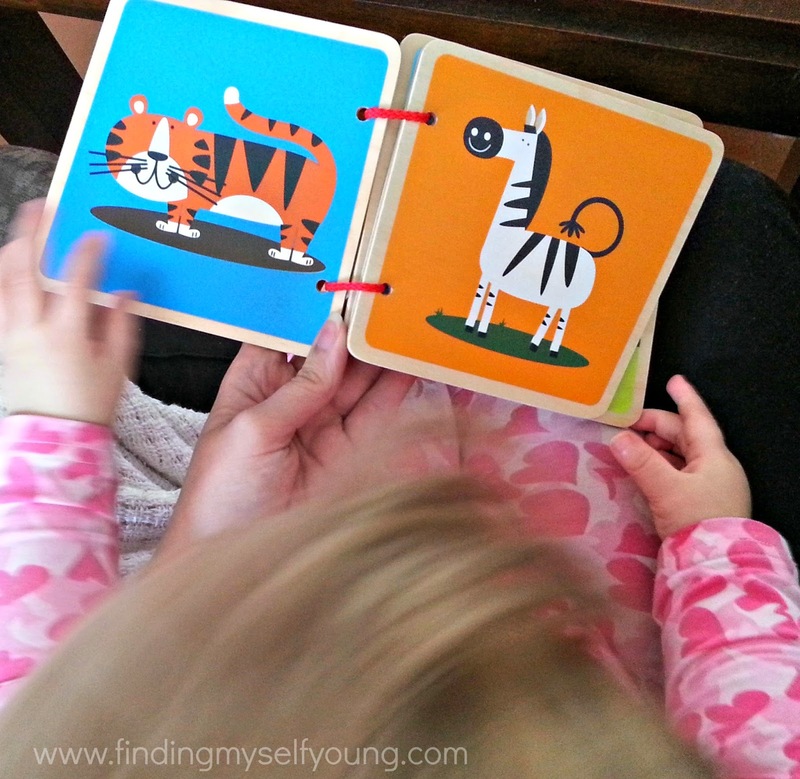 These books are perfect for babies and toddlers who are keen on reading. They're made of wood and the images are painted with water based non toxic paint. Perfectly durable and safe for teething little people who want to make a meal out of everything. 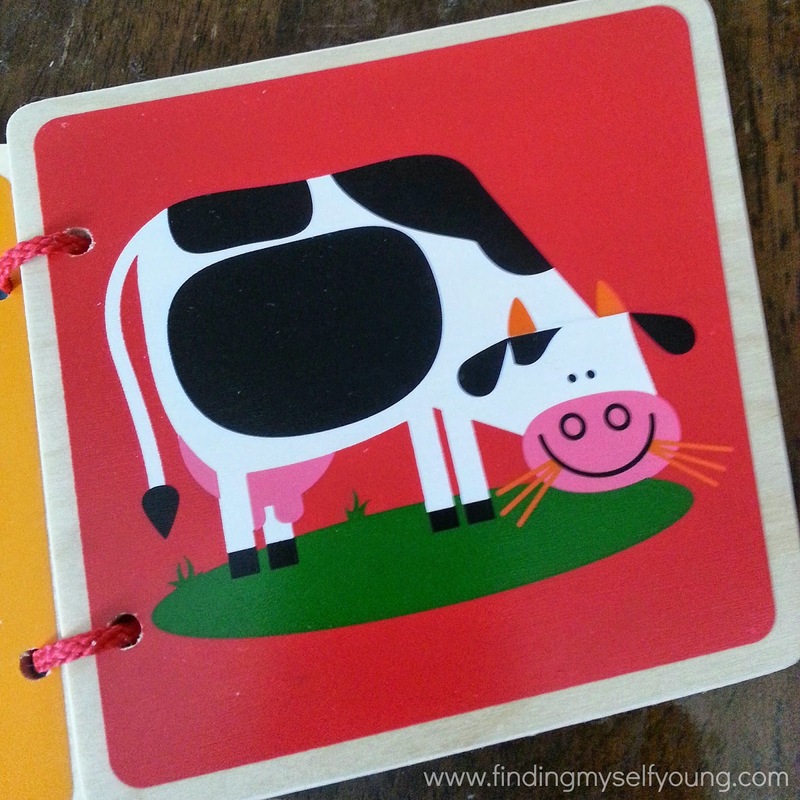 Each page has an alternating slant so its super easy for little hands to grasp and turn them without missing a bunch of pages. The images are so bright and vivid that they captivate her attention for a lot longer than her other books. I also really love that there are no words in these books, only images. It's great because we can make up the story as we go and it can be different every time. 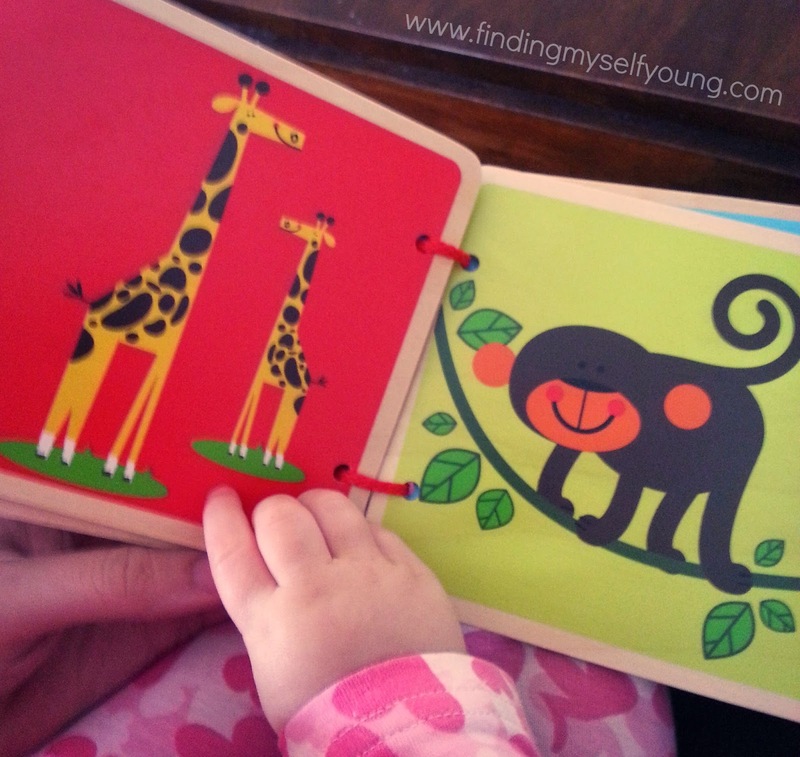 We have the farm and zoo books so at the moment I simply tell her the names of the animals and the sounds they make as we flick through the pages. Dog goes woof woof, cow goes moooooo - that kind of thing, except in a really animated voice. She'll happily sit with me and go through the entire book numerous times. I'm not sure if its because she likes looking at the pictures or she just finds my narration highly entertaining amusing. Either way I'm really enjoying the extra interaction with her and being able to help develop and nurture her love of books. Another skill shes completely mastered is walking. In fact actual walking doesn't really happen much these days, its more running and zooming around and its usually accompanied with an ample amount of squealing and giggling. Now that shes well and truly mobile shes got a new found interest in her push and pull toys as she realises she can use them while moving not just while sitting down. Our latest push and pull toy is the wooden roll and walk by Plan toys. 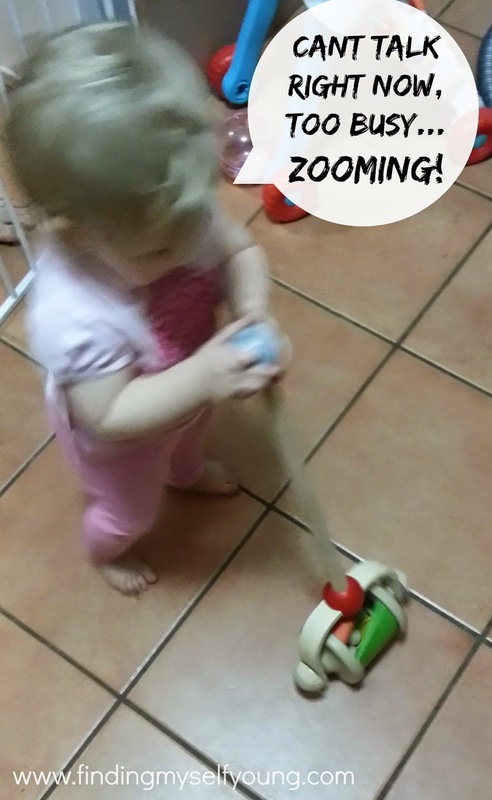 The roll and walk is a classic toy that makes noise as its pushed about. It's different from traditional clicker toys though as its made from natural rubber wood and is painted with non toxic water based dyes. Plan toys have a strong focus on sustainable play and use natural sustainable preservative free rubber wood. The noise is made by three wooden balls that rotate within the base as it moves around. Have you ever tried to take a photo of a toddler in motion? I don't know why I even bother these days because they all end up a fuzzy zooming mess like the one above. Luckily she also plays with it while sitting so I could get a proper picture. 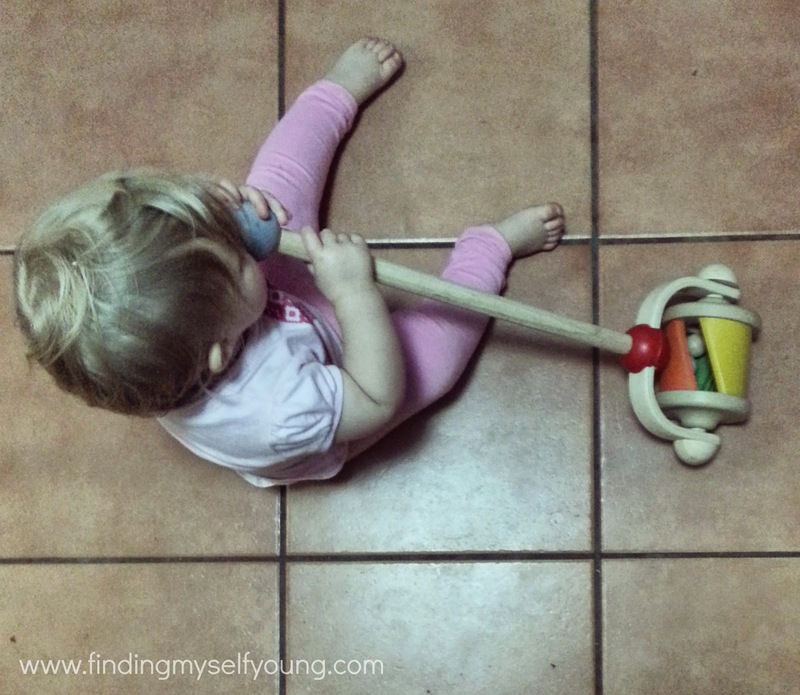 The roller can also be detached from the handle to use as a floor toy for younger babies (or when toddlers couldn't be bothered walking around with it). 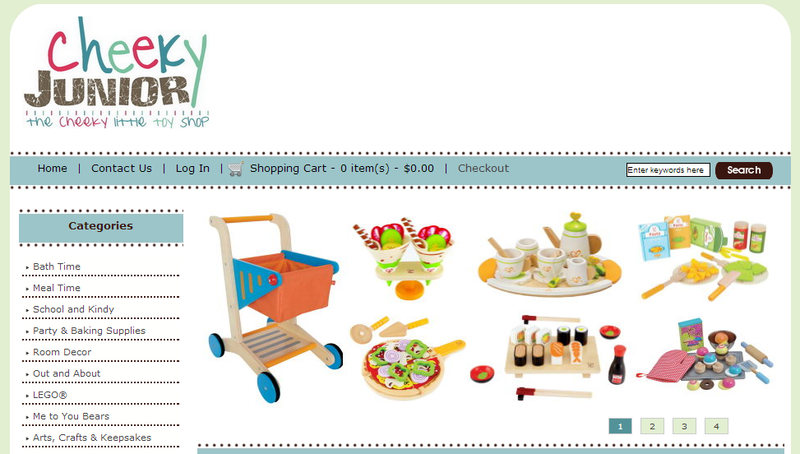 We got our awesome new wooden toys from Cheeky Junior online. 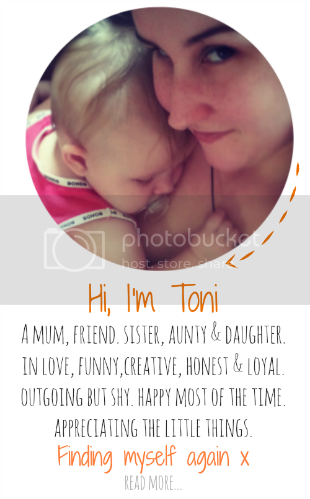 Cheeky Junior is a home based online childrens store that stock a range of products including wooden toys, bath toys, doll houses, educational toys, puzzles, lego and much more. They provide exceptional customers service. They also keep operating costs to a minimum in order to pass on savings to customers. 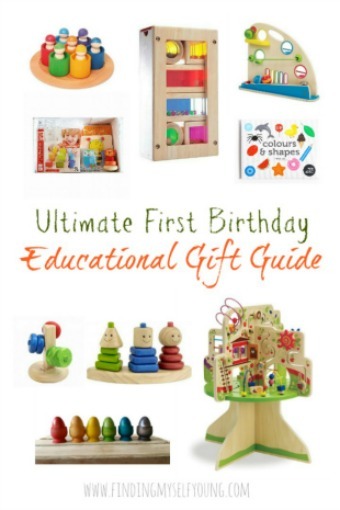 Their toys are very reasonably priced, especially the wooden books which are only $10.50 and will last for years. If you're after some good quality toys for your little ones or a gift you definitely want to check out Cheeky Junior. You can also follow them on facebook. They're offering all Finding Myself Young readers 10% off everything*, simply use the code FMY10 at checkout. They have a huge range of wooden toys including the pretend play food, I'll definitely be back for them when shes a bit older. Do you have a favourite wooden toy? Also, any advice on how to handle a climbing toddler who has no fear? Disclosure - We were gifted the wooden books and roller, but I did not receive payment for this review. All opinions expressed are based on our experience with the toys. I've never seen wooden books before. I might have to go an check them out. Thanks for the heads up. I'd never seen them before either - they're such a good idea I'm going to try and track down some more. Both of my boys love their books, they are both fans of "That's not my…" books. I haven't seen wooden books before, what a great idea. They're awesome. 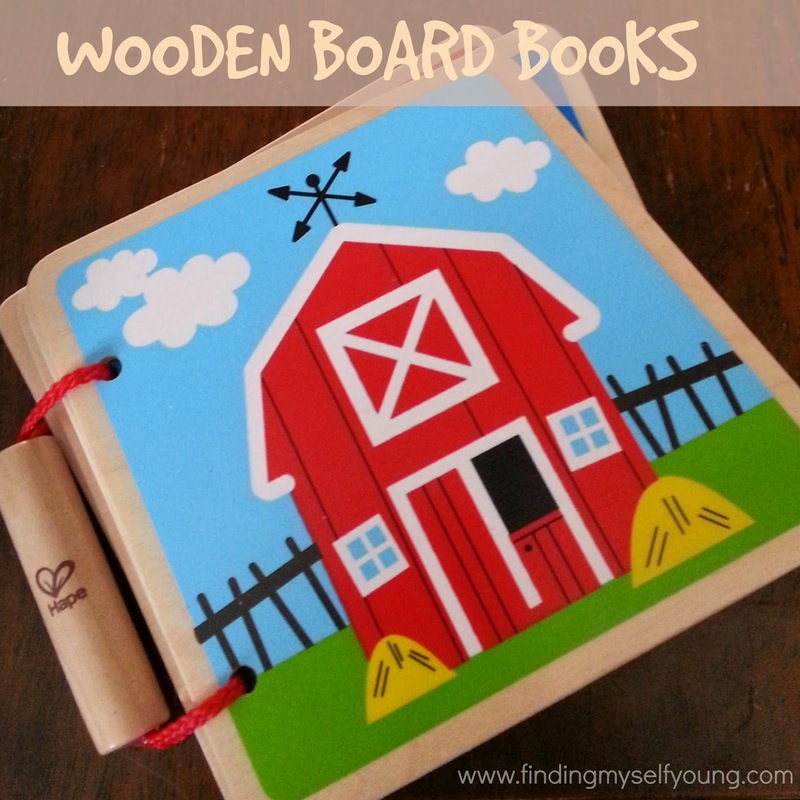 I have a love affair with wooden toys and now I can add wooden books as well. She tried climbing the cot the other morning, I nearly had a heart attack lucky in her sleeping bag she wasn't able to do it. As soon as she gets close though shes going in a toddler bed. Having had babies who were also fascinated with books, those wooden books would have been the very thing when they were young. What a great idea! It is such a cool idea hey Kirsty. So many creative people thinking of such awesome things these days so glad I'm finding all these cool products. Theres something so magical about wooden toys hey. She likes to eat her books! I've started collecting little golden books for her too but shes not being let loose on them for a long time. We love wooden toys. Love the books. I nada climbing baby - one that walked at 9 months and as such could climb with no fear. We put lackey bands on the dining table chairs under the table so that she couldn't pull them out. A little inconvenient but it worked. Also I had a linen cupboard full of small bits of furniture that she would climb on. She started walking at 11 months here and has been trying to climb since before she could walk, but now that she can walk too she can get to so many more dangerous places to climb. Its doing my head in. Love the idea of wooden books. I do like wooden toys, they seem to last a lot longer than the cheap plastic ones which breed in the toy box!! I just picked up a wooden cement mixer from a friend who was selling it. Sadly our blinds are more exciting! !